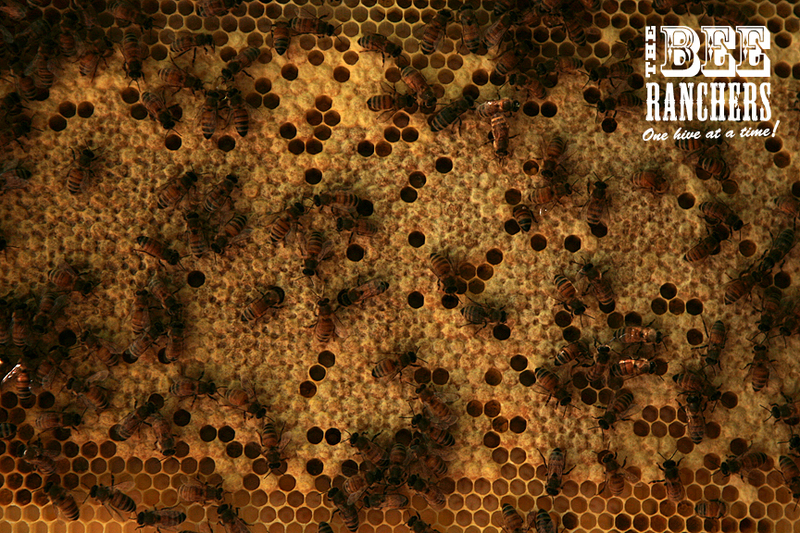 Our Bees have been busy! 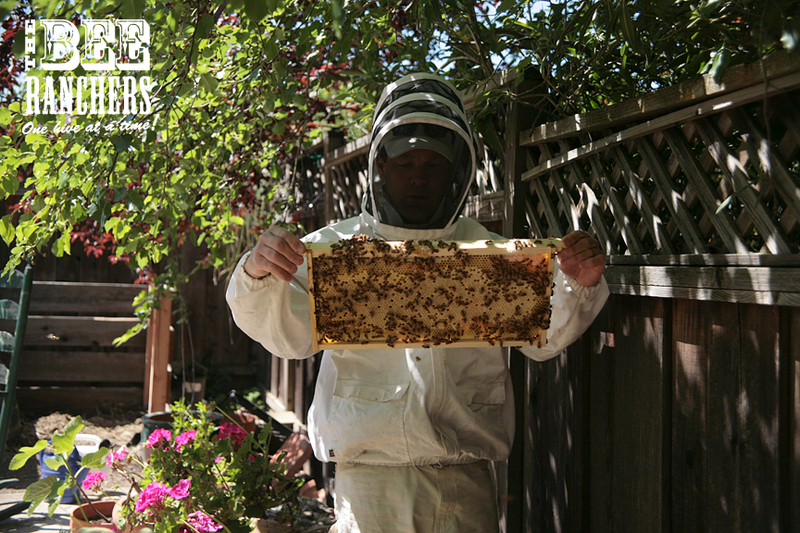 Mike came over to our house in the East Bay last week to check in on the hive. I made sure that I was there to capture the moment. I wasn’t sure what kind of lens I should shoot with thinking my telephoto might be good from a distance. Mike cautiously assured me that I would not need that. I’m happy to report that he was right. His observation of many of his hives have been that the bees have pretty mellow so far (you’ll note he is not wearing gloves during this check). 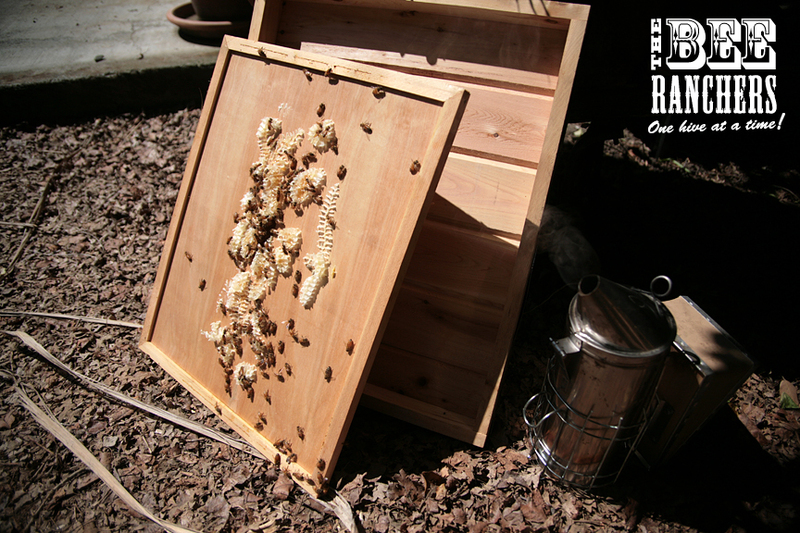 Mike took off the lid of the hive which show cased some “burr comb”. 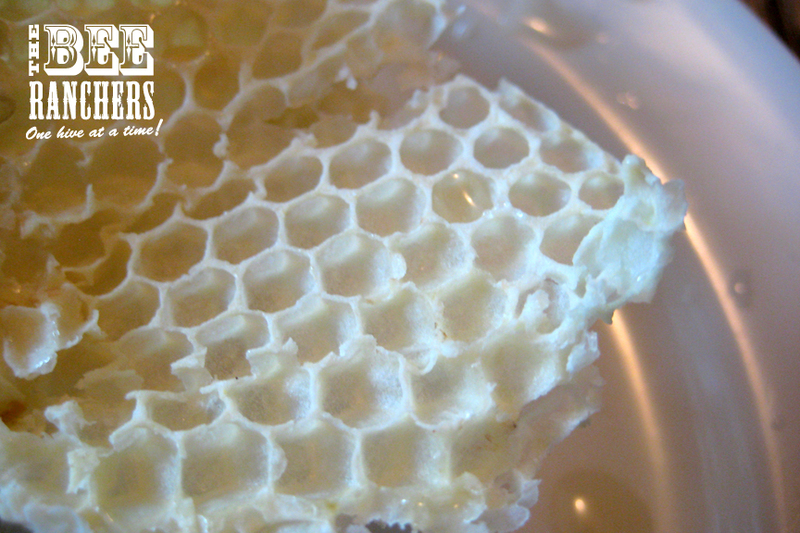 This is comb the honeybees have made between or on top of the frames. 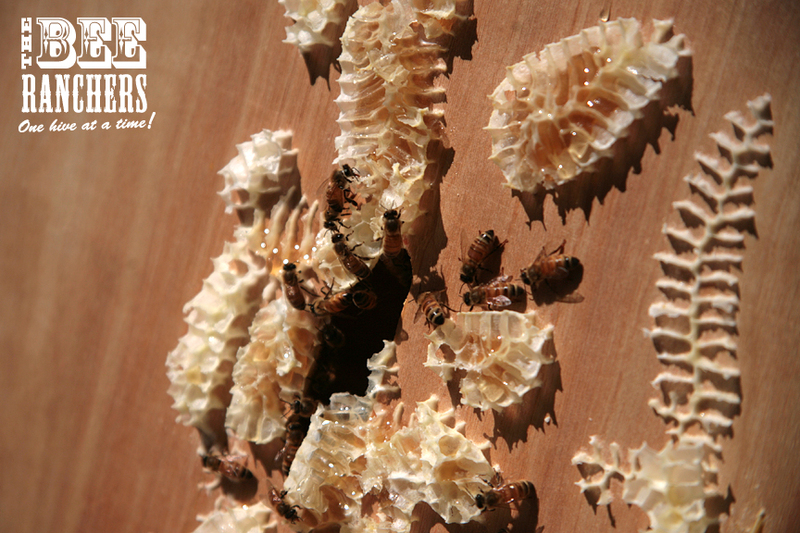 In order to maintain the hive properly this “burr comb” needs to be removed – typically scraped off with a special tool. If you are lucky, there will be some honey in it to taste. 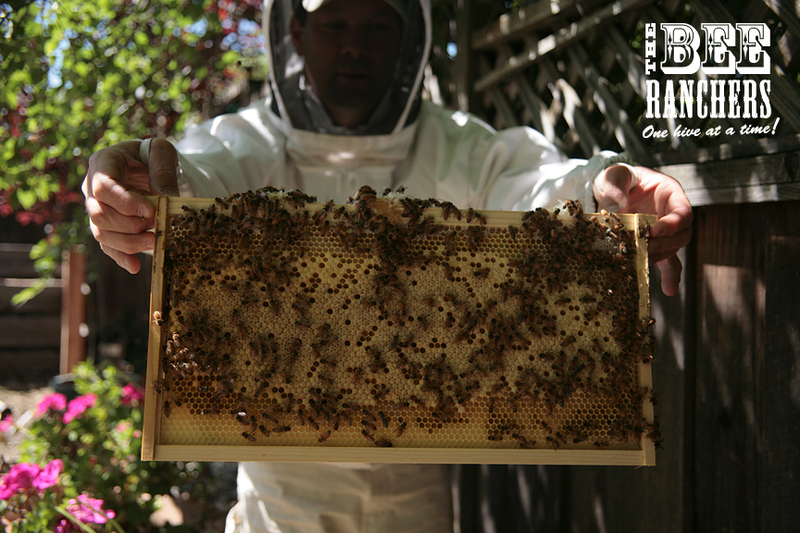 Mike checked the frames and said the hive was very healthy and looked to be productive. He added a second Brood Chamber on top and went on his way. 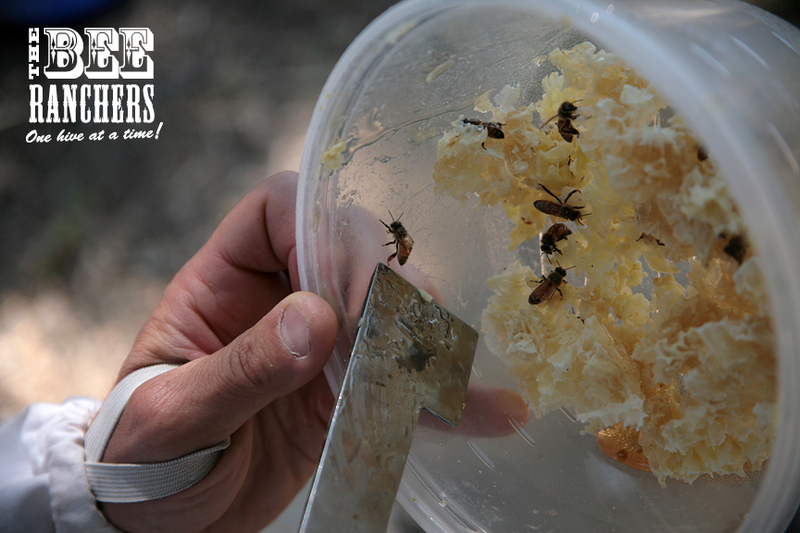 If all goes according to plan, Mike thinks we may extract some honey in August. I really enjoyed seeing the inner workings of an active hive first hand. 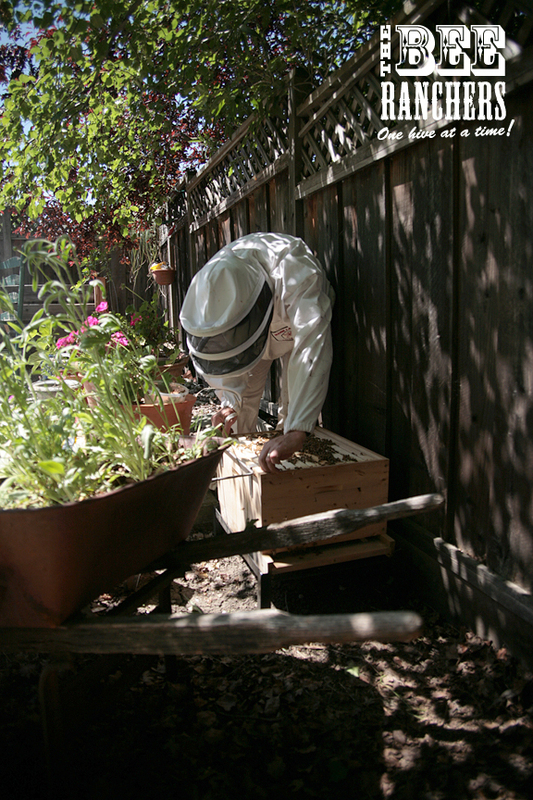 This entry was posted in East Bay, Hive Diary, Honey, Honeybees by beerancher. Bookmark the permalink.